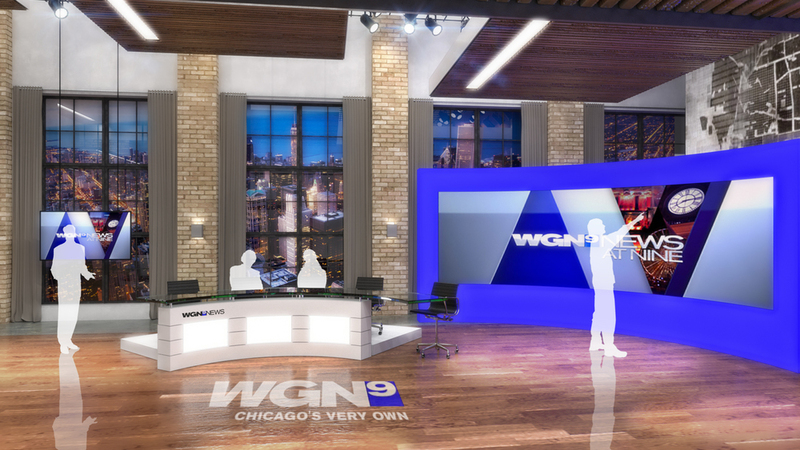 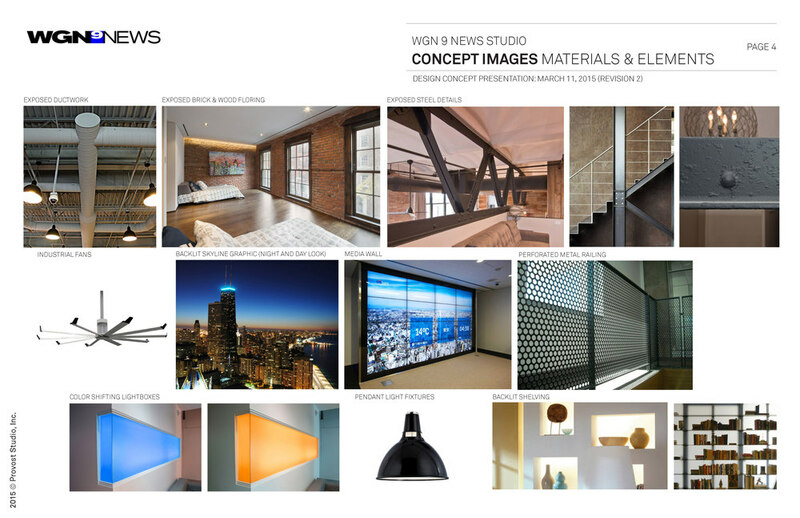 Provost Studio provided a preliminary design concept for WGN-TV that re-imagined the existing studio as a flexible, 360-degree broadcast environment within an urban Chicago loft space. 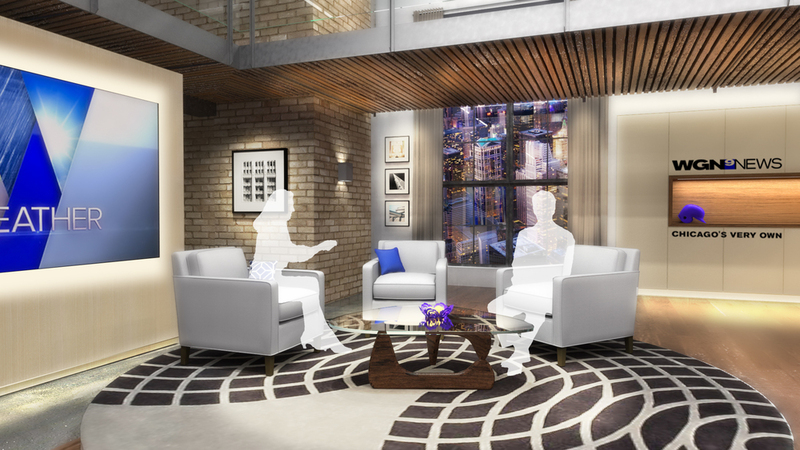 With expansive views overlooking the city, the visual concept incorporated iconic architectural features, materials and views of the city into the scenery that expresses both the unique story of Chicago and WGN 9 News, "Chicago's Very Own". 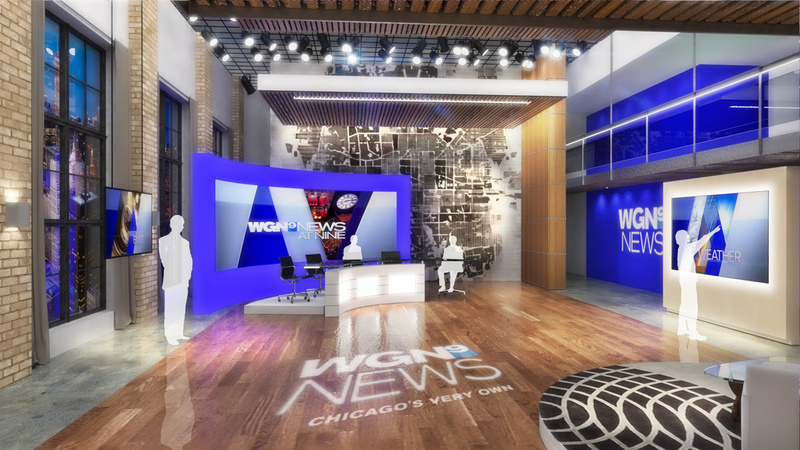 The studio configuration was designed for multiple talent positions with various locations for hard news reporters and editorial segments including News Desk Area, Interview Area, Demonstration Area, Weather Area and Sports Desk.